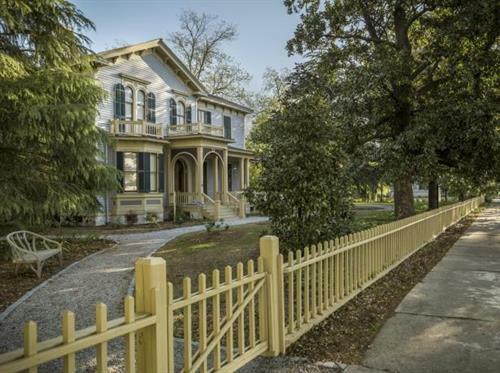 President's Day Tours | Woodrow Wilson Family Home - Feb 18, 2019 - Partners - Columbia Chamber of Commerce ? Join Historic Columbia on Monday, Feb. 18 for tours of the?Woodrow Wilson Family Home: A Museum of Reconstruction?to see how his time in Columbia may have influenced his decisions as President. Normally closed to the public on Mondays, there is no better way to mark President’s Day than by taking a tour of the only Presidential site in South Carolina. The Woodrow Wilson Family Home is also the nation's only museum dedicated to interpreting the post-Civil War Reconstruction period. During the height of Reconstruction, Woodrow Wilson's parents built this house, the only one they would ever own. Although the home has changed hands many times since the teenaged future president lived here, it stands as a reminder of how our city struggled to rebuild itself in the post-war era. Tickets can be purchased at the site, located at 1705 Hampton Street.